What is Absolute No Heat VCO? We're here to help! If you can't find the answer to your question on this page, drop us an email at cocolab.my@gmail.com. If you do not see a reply email from us, please check your junk mail. HOW DO I CREATE AN ACCOUNT ONLINE? We highly recommend that our customers create an account on our website as this will allow you to check the info you provide for accurate delivery, such as billing or shipping address (no PO Boxes), contact person and phone number. By creating an account, you can also check your order history and receive our newsletters on the latest offers, promotions and discounts. Simply click on Create Account for new customers, or Log In for returning customers, at the top right hand corner of our website. Fill in your particulars as required on the page. An email will be sent to you to Activate Your Account. Please follow the steps in the email to confirm your account activation. HOW DO I EDIT MY ACCOUNT DETAILS? 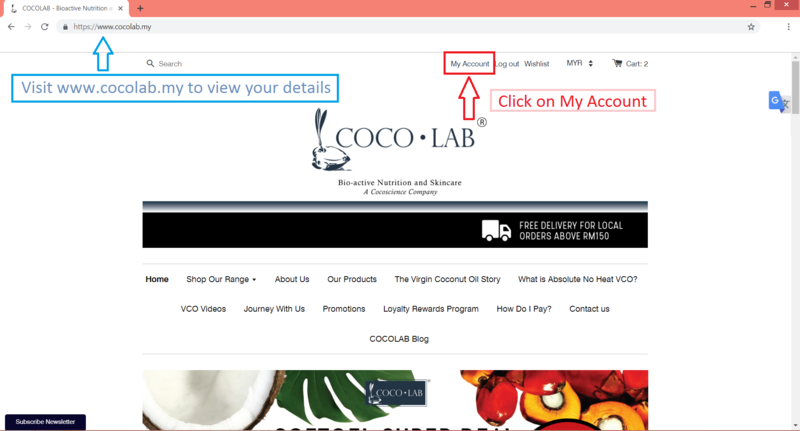 Once you have signed in, you will be directed to your Account page where you can edit your details. You can also click on My Account at the top panel of our website to access your Account page. HOW DO I SHOP ONLINE? Browse through your preferred products and click ADD TO CART for quick shopping. You can still alter your shopping cart items or their quantity by clicking on Shopping Cart at the top right hand corner of our website. You can also opt to Continue Shopping on your Shopping Cart page. Once you are satisfied with your items, click Check Out to proceed to the Payment page. Fill in your shipping and billing details, click on the CityLink delivery method and review your final payment. ARE THE PRICES ON THE WEBSITE DIFFERENT FROM THE RETAIL OUTLETS? Prices displayed on our website for our products are inclusive of the prevailing 5% and 10% SST in Malaysia. The total SST, for applicable products only, will be reflected on the Check Out page depending on your shipping location. There are no differences in price on our website and retail outlets. For orders shipped within Malaysia, the total price with SST will be included and reflected on the final Payment page of our Secured Checkout. For orders shipped overseas, the total price will be reflected on the final Payment page of our Secured Check Out. WHAT CURRENCY CAN I BUY IN? The default currency is in MYR (Malaysian Ringgit). You have the option to view and buy our products in the currency of your country. Click on the top right hand corner of our website page to change to your preferred currency. Once you are satisfied with the items in your shopping cart, click on Check Out. In your Check Out page, you may enter your Voucher or Discount Code. Your new total (excluding shipping charges) will be reflected immediately. WHY IS MY VOUCHER BEING REJECTED WHEN APPLIED? Therefore, it is best to make use of your voucher within the usage period or before quota has reached its limit. CAN I COLLECT MY ORDER FROM THE OUTLET? If you would like to make collection at the outlet, please select the 2nd or 3rd option. For local orders within West Malaysia, the shipping charges are RM11.02 for the first 2kgs and RM2.07 for every additional 1kg. For local orders within East Malaysia, the shipping charges are RM16.54 for the first 1kg and RM13.78 for every additional 1kg. Free Shipping is available for local Malaysian orders above RM150. This will be applied automatically at checkout. For international orders, the estimate shipping charges will be shown upon Check Out. The final shipping charge will be reflected based on weight at the Checkout page. DO I HAVE TO PAY CUSTOMS CHARGES FOR MY ORDER (APPLIES TO INTERNATIONAL ORDERS ONLY)? Unfortunately COCOLAB is unable to advise what customs charges may be applied to international shipments. Any customs charges are applied at the discretion of the carrier and local laws and all customs charges will be payable by the customer and will not be covered by COCOLAB. For more accurate information, we suggest getting in touch with your local customs office so that you are not surprised if there are any unexpected delivery charges at your end. WHAT IS THE PAYMENT & SHIPPING PROCESS? For a complete guide on our Payment & Shipping process, please click here. Upon complete checkout and payment method, you will receive an Order Confirmation email from us with details of your order within 24 hours. B) Credit / Debit Cards (using PayPal). We accept MasterCard, VISA, American Express, JCB, Discover and Diners Club cards. C) Direct Transfer online (via eGHL). Supports registered local bank accounts for all Malaysian banks. D) Payment at our outlets for Self-Collection option only. For a more detailed illustration on payment, please visit this link on 'How Do I Pay?'. DO YOU ACCEPT COD (CASH ON DELIVERY)? We only accept Cash on Delivery or COD for 'Self-Collect' method at our selected outlets only. Payment for your order can be made via Cash. WHEN MUST I MAKE PAYMENT? We can only hold your order for 7 days from your date of order. Successful Payment via online or offline methods and their respective notifications to us must be made within 7 days. Failing which, we will no longer hold your order and it will be canceled. If you wish to continue with that order, you will need to place another order with the same details. Please note that discounts or vouchers applied will also be canceled once non-payment for the order has exceeded 7 days, Discounts or vouchers cannot be carried forward to the new order unless they are still available or have not expired. 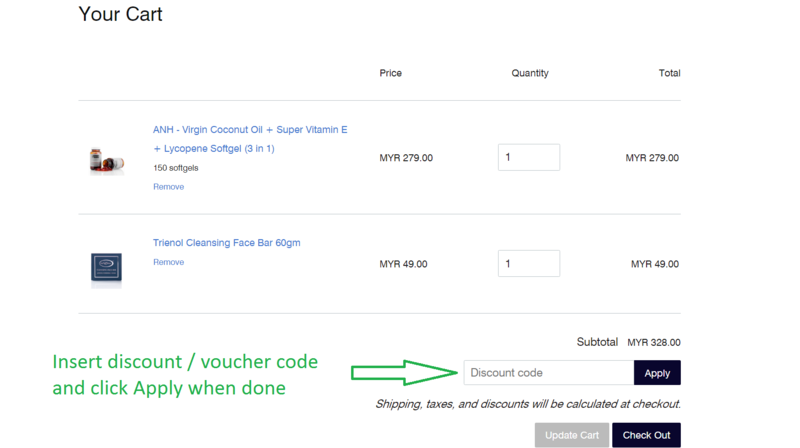 IMPORTANT : Please ensure that you are satisfied with items in your cart and discount/voucher code application before proceeding to make payment. The company will not be held responsible for any omission of customer details or failure to input discount/voucher code once payment has been made. Due to the system's restrictions of discount and voucher usage, it is best to make payment as soon as possible to avoid disappointment. HOW DO I KNOW IF MY PAYMENT HAS BEEN RECEIVED? Upon sending us your payment details (for offline payment) or making payment via your credit card (online payment), you will receive a Payment Confirmation email from us and another email from PayPal or eGHL depending on your payment method. Please note that payment confirmation received after 5:00pm will only be processed the following working day. WHERE CAN I FIND THE INVOICE OR RECEIPT FOR MY ORDER? Once payment is successful, you will receive a COCOLAB Invoice for your order via email. You will also receive the same invoice in your order package. 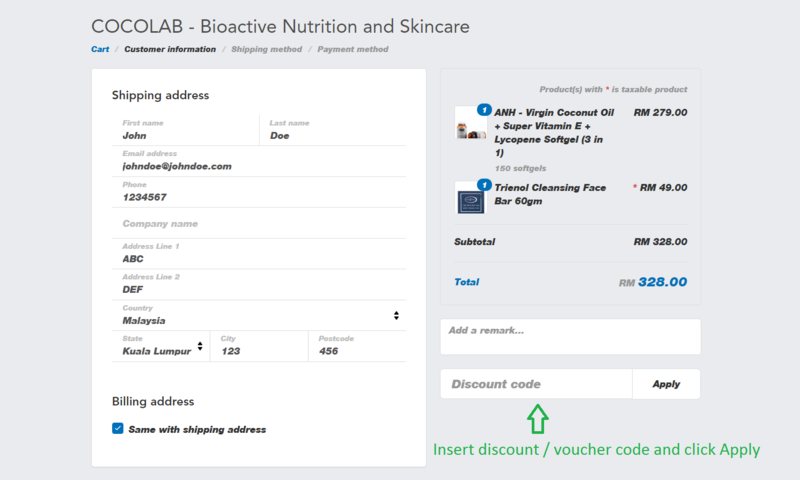 In the event you do not receive the print-out of your invoice in your package, please refer to the COCOLAB Invoice Email. HOW LONG DOES IT TAKE TO SHIP OUT AN ORDER ONCE PAYMENT HAS BEEN MADE? Once payment has been made, we will process your order within 1 working day and will ship it within the next working day. For local orders within Malaysia, it may take within 1-7 working days for delivery to reach your doorstep. For international orders, it may take within 7-10 working days for delivery to reach your doorstep. This is subject to customs clearance at the country of destination. WHEN CAN I COLLECT MY PURCHASE FROM THE SELECTED OUTLET? You can collect your purchase from the selected outlet immediately as long as you have made payment online or will be making payment via cash at the selected outlet. At checkout, you can choose a preferred time and date for collection so that your order can be prepared. This is just a rough estimate. It is not necessary to arrive at the exact time as long as you arrive within the outlet's opening hours. For more info on outlet opening hours and location, click here. CAN I COLLECT MY ORDER FROM A DIFFERENT OUTLET? For verification purposes, you can only collect your order under 'Self-Collect' at your selected outlet locations. Your order details will only be sent to the selected outlet location where it will be prepared. Collection at other outlets may result in a longer verification process. If you wish to change your selected outlet location, please notify us via email. WHAT MUST I PREPARE TO COLLECT MY ORDER UNDER 'SELF-COLLECT' METHOD? Our staff will request for verification emails depending on your payment method. Please do not delete any emails from COCOLAB once you have made your order or once you have made payment online. You will need to present these emails to our staff in order to collect your purchase. Print-out of emails is not necessary. For more info on 'Self-Collect' method, please visit our 'Payment & Shipping' guide. HOW CAN I CHECK IF MY ORDER IS BEING SHIPPED OUT? Upon successful payment, we will pack your order and ship it. You will receive a Shipping Confirmation email from us stating the details of your order (tracking number & courier service provider) within 1 working day. We use CityLink as our courier service provider for all shipments. You can track your order on the CityLink website at http://www.citylinkexpress.com or click here. Key in your tracking or consignment number in the website to find out. Please note that we do not ship to PO Boxes. We do not entertain any cancellations once an order has been processed. If you have already made payment and wish to cancel an order, please email us immediately at customercare@cocolab.my to let us know. We will come up with an appropriate solution for your case. Due to hygiene reasons, we will not accept any returns or exchanges once an order has been delivered. COCOLAB deserves the right to stipulate any delivery arrangement or cost made by a customer for products that are returned or exchanged.